Rob Heron & The Tea Pad Orchestra new studio album and tour dates. 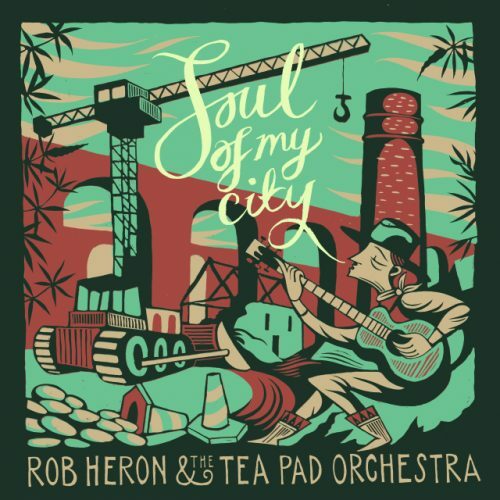 Rob Heron & The Tea Pad Orchestra don’t care what genre you choose to put them in –western swing, country blues, ragtime hokum or whatever else–as long as you understand that they’re 100% sincere and 100% immersed in this stuff. This is no lazy pastiche, no dressing up box. They live and breathe this music and want you to get immersed with them. The Tea Pad are seven years into a remarkable story that began with four friends studying at Newcastle University and now sees them playing venues and festivals across the UK and mainland Europe. Based in Newcastle Upon Tyne but with members hailing from Orkney to Warwickshire, the Tea Pad sound draws on myriad influences –from Bob Wills to Django Reinhardt, George Jones to Tom Waits –yet ultimately sounds like nobody else, that North Eastern Swing style that’s utterly their own and changing all the time. Across their four albums – 2012’s Money Isn’t Everything, 2014’s -Talk About the Weather, 2016’s – Something Blue and the brand new – Soul of My City – the band have constantly added new flavours to their sound: Heron in particular, is a vinyl obsessive, always fired up about some new passion – calypso or boogaloo or whatever this week brings –and that eclecticism feeds into their songs, with the new album adding twangy 60s guitar tones and modernist R&B styles. The band tour the way bands should –widely and endlessly –winning friends and fans at each new show with notable performances at festivals like Glastonbury, Bestival, Wilderness and Cambridge Folk Festival. They’ve appeared twice on Radio 4’s Loose Ends, and had their music played by everyone from Marc Riley to Huey Morgan. 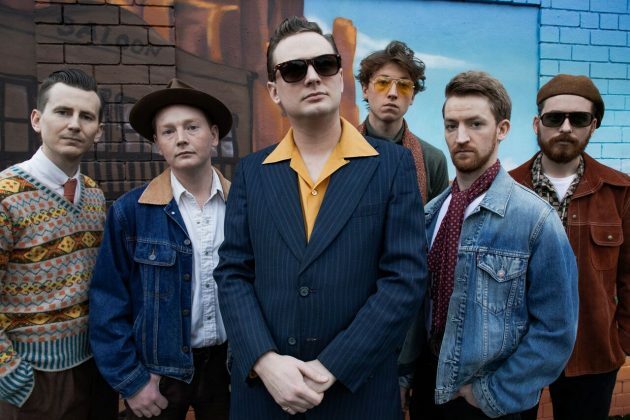 November 2018 sees the band release their single – Life Is A Drag, ahead of their upcoming album Soul of My City, which is released on Tea Pad Recordings on February 1st, 2019. This fourth studio, album is the result of fine-tuning their blend of Swing, Rockabilly, Blues and Country, into a sound that is truly unique, witty, hip, and successfully brings these older styles of the music into the 21st Century! The songs cover themes as eclectic as their style, such as cross-dressing, time-travel, being skint and of course, heartbreak. The title track and cover artwork are a response to the over- gentrification of creative areas such as Newcastle’s Ouseburn Valley, where artists create a unique environment only to later have developers jump in and destroy it! …….and our Spiral readers voted them ‘UK Americana Band of the Year 2015’ in our Spiral Earth Awards ! !